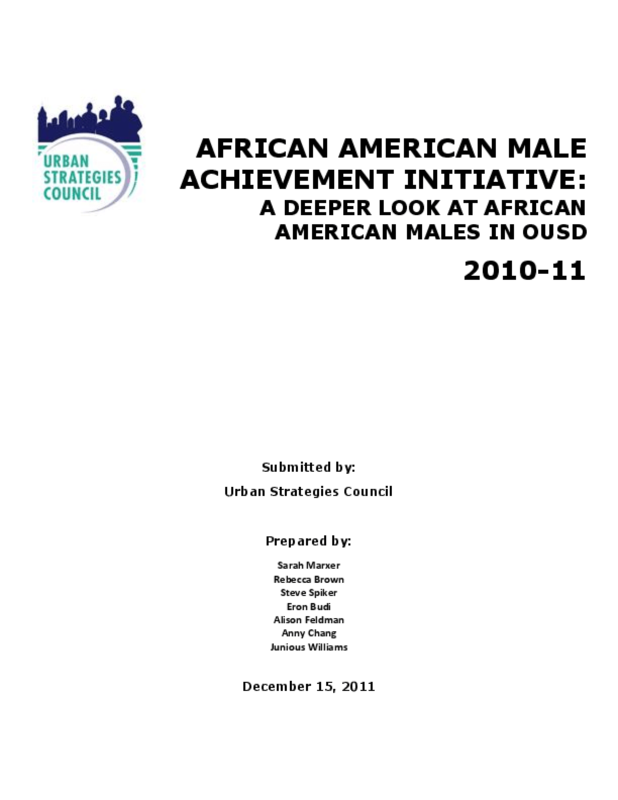 This report provides further insights into the status of African American boys in Oakland Unified School Distric (OUSD) and aims to reverse the academic and social inequities they face in seven key areas: the achievement gap, graduation rates, literacy, suspensions, attendance, middle school holding power, and juvenile detention. A framework of three levels of well-being (on course, at risk of falling off course, and off course) was used to understand how African American male students are faring in these areas. Copyright 2015 Urban Strategies Council.